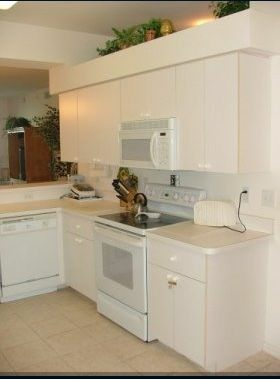 Spectacular 3rd floor newly built (2002)condo (BRAND NEW CARPET THROUGHOUT,JUST DECORATED,NEW DINING ROOM SET !!) 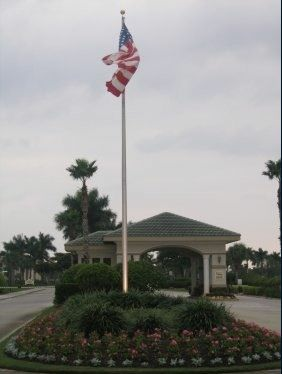 on Beautiful Heritage Palms Country Club. 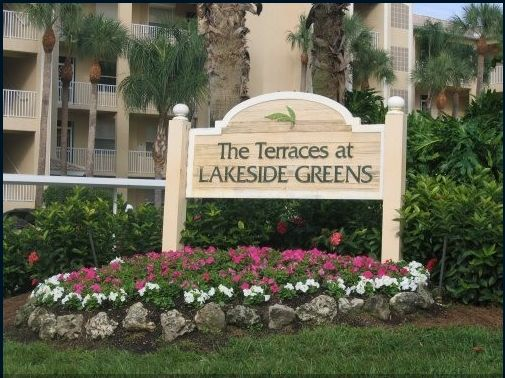 (A gated community with 24 hour security - THREE MONTH SPECIAL! 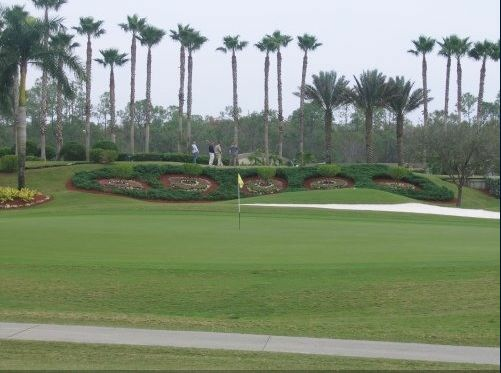 This is the only Country Club in the area to offer TWO 18 hole CHAMPIONSHIP Azinger designed courses on property. 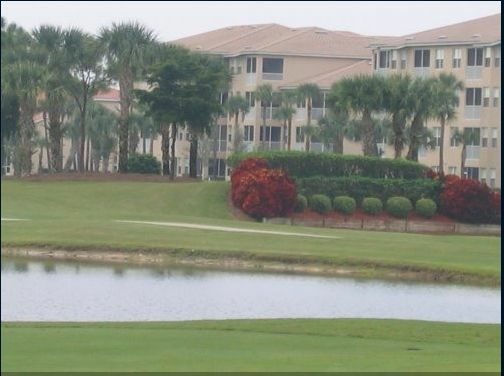 Tenants enjoy FULL owner privelages of the entire property, including UNLIMITED golf for a one time $250 transfer fee. 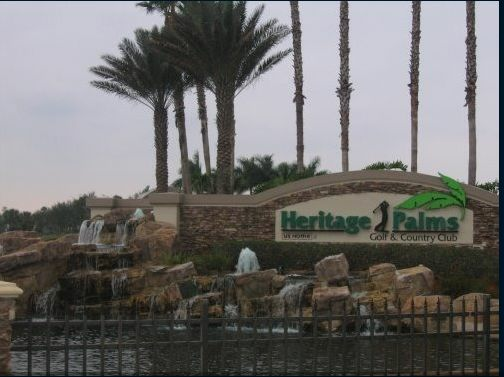 (And cart fees) Heritage Palms is just 2 turns and 12 minutes from Fort Myers Airport. 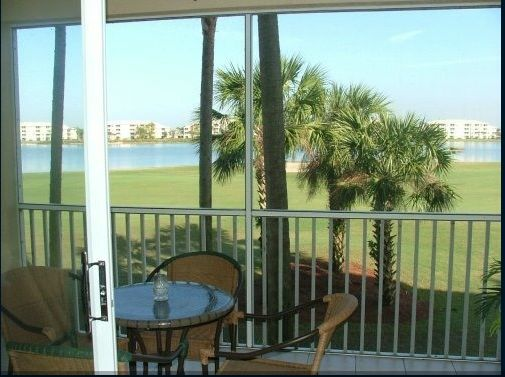 The view of the golf course and 38 acre lake from the lanai is breathtaking! 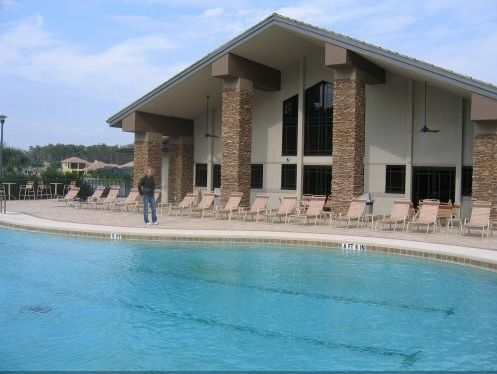 (SEE POSTED, ATTACHED PIX) There are also 8 lighted Har-tru tennis couts, and 10 heated pools on site, as well as 2 jacuzzi's. 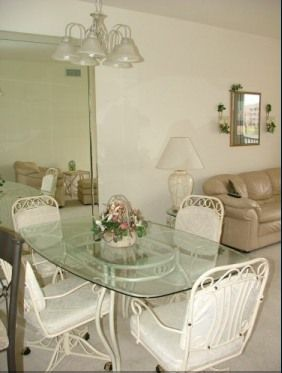 The 28,000 square foot clubhouse building is host to the gourmet restaurant for informal to formal dining seven days per week (less than one block from the unit! 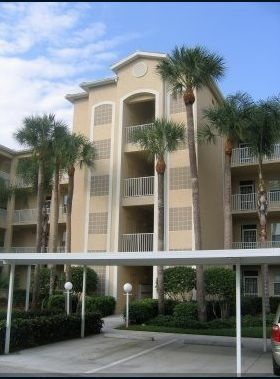 )All this and located 20 short minutes from Sanibel Island, and Fort Myers beach!! 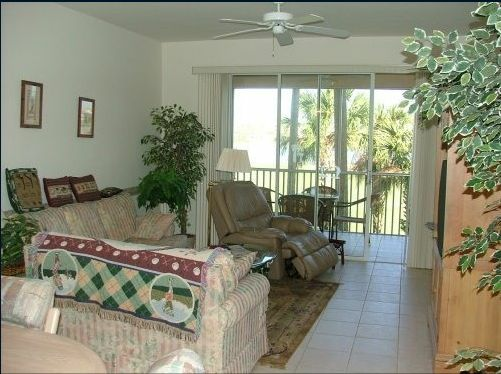 Unit is complete and ready to live in including 4 TV's (Large Flat Screen in Family room) DVD/ VCR in every room as well. 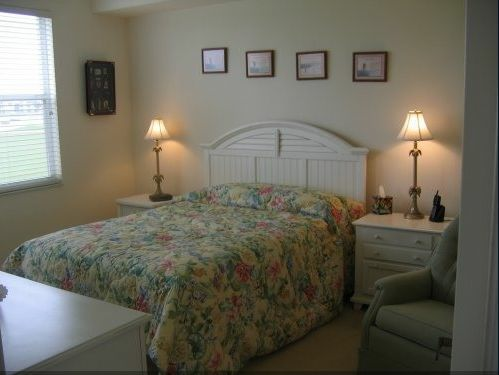 Master Bedroom has his / her walk in closets! 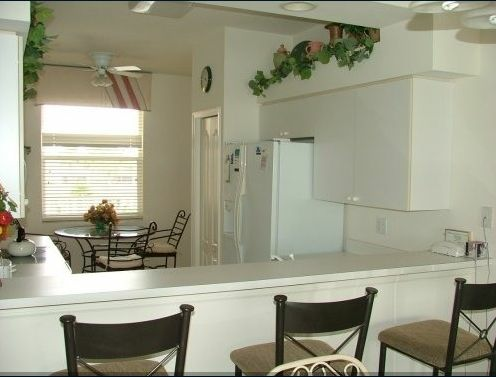 There is a second clubhouse "the Lodge" that hosts wireless internet access along with 2 pc's and a printer. 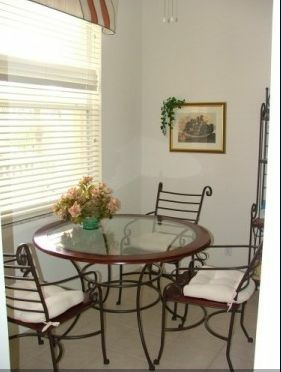 There are also several card tables and 2 TV's for guests to enjoy. 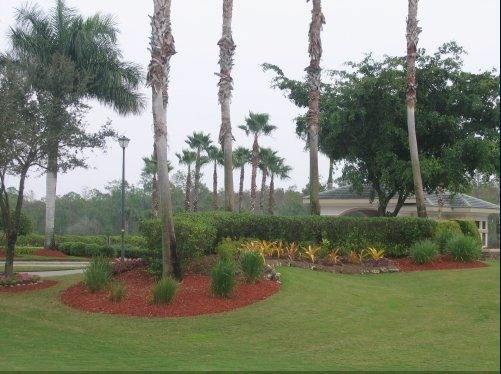 Outside, the entire property (LODGE) is wireless, and sports a wonderful "TIKI" bar with flat panel TV's and food / drink service all day long! DISCOUNT FOR 3 MONTH RENTAL! WIRELESS HIGH SPEED INTERNET INCLUDED AS WELL! 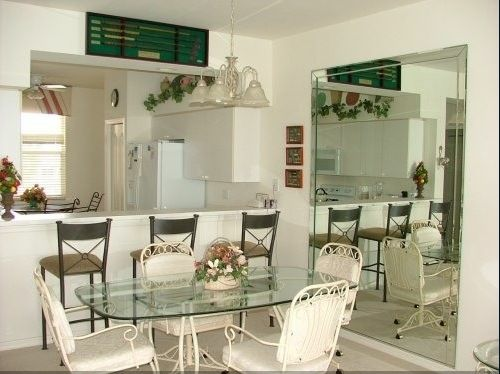 This condo is located in Heritage Palms Golf and Country Club. 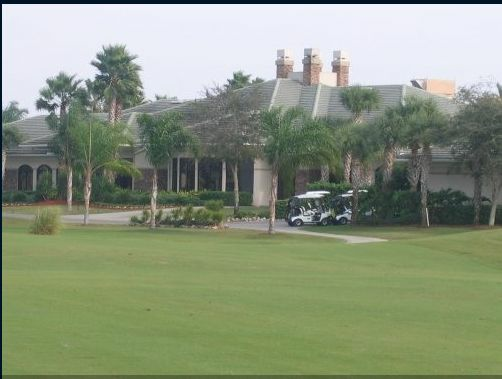 This gated community boasts a 28,400 square foot clubhouse with beautiful view of a gorgeous 38 acre lake. 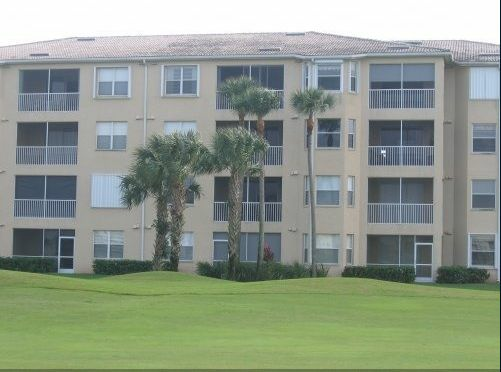 Renters enjoy country club membership privileges including 36 holes of championship golf, restaurants, locker room, pro shop, media room, heated swimming pools and spa, lighted tennis courts with stadium court. 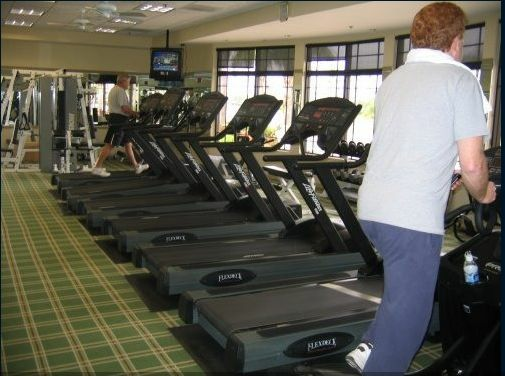 Fitness center, aqua range and practice greens. 4 miles from the Minnesota Twins training stadium. 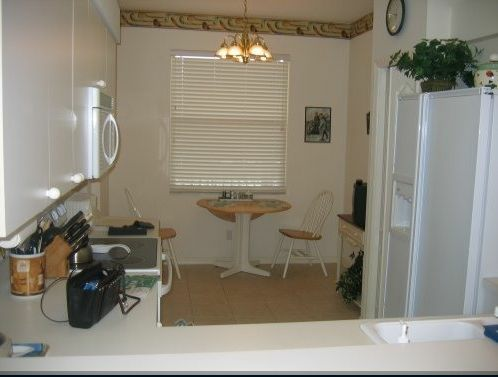 INTERNET ACCESS INCLUDED!!! SPECIAL RATE FOR 3 MONTH RENTAL! 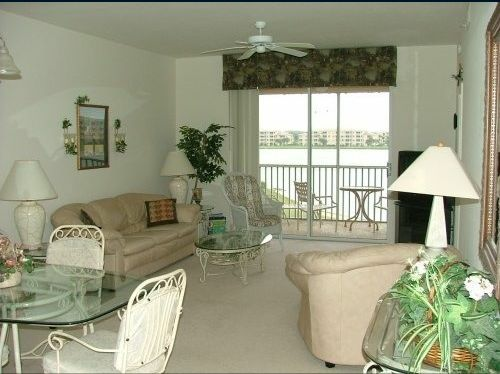 The Complex ,liviing Quarters &the; Owners Of The Condo Made My Two Month Vacation A Pleasant One. 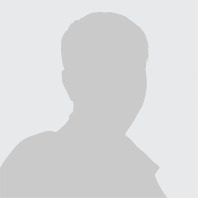 When The Product You Purchase Exceeds One's Expectation & The Service Is Extranare , Pricing Will Never Be An Issue!!! 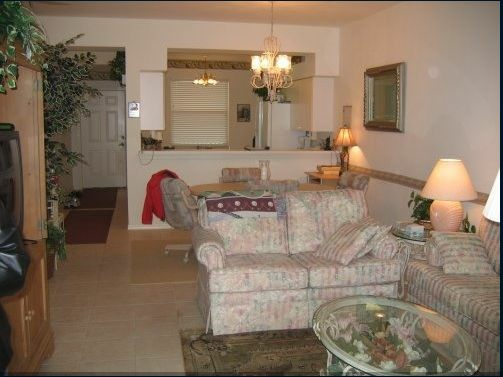 Beautiful and clean condo. 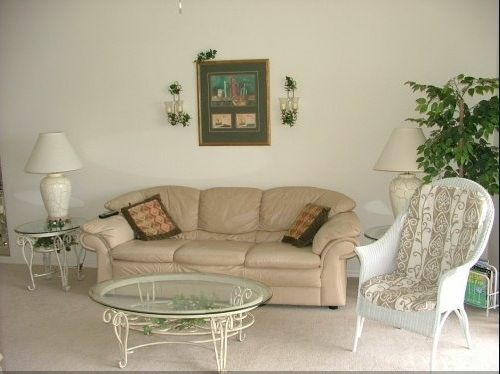 Nicely decorated with golf motif. 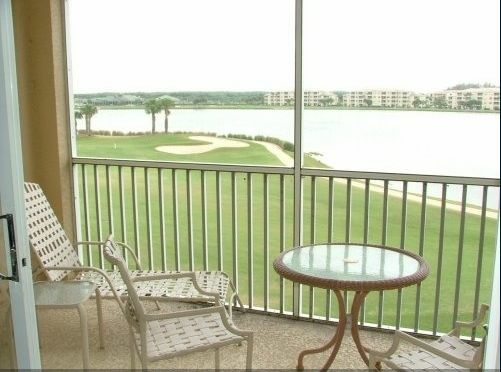 Great view of #17 fairway and 38 acre lake. 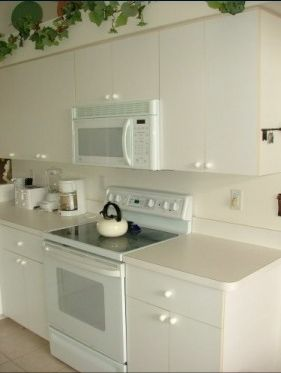 Kitchen is well stocked with plenty of dishes, pots, and pans. 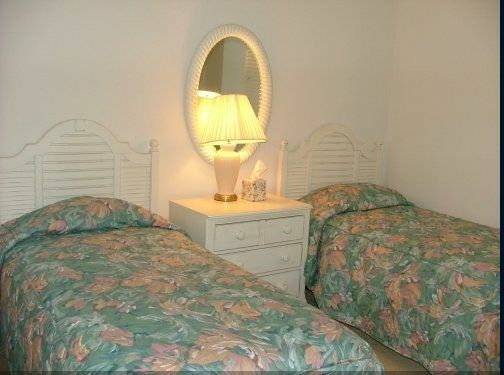 Both bathrooms stocked with towels, beach towels, hair dryer etc. Owner is great to work with and very accommodating. Pleasant host owner. 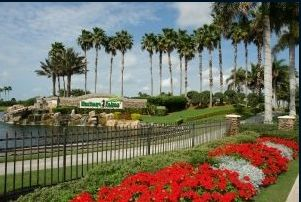 Nice resort. Would repeat for sure. 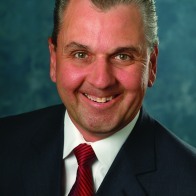 Ron Assise 708-362-1899 Show Phone No.